This has been an interesting week with a couple frustrations, but through it all I constantly strive to focus on the fun and positive. 1.) 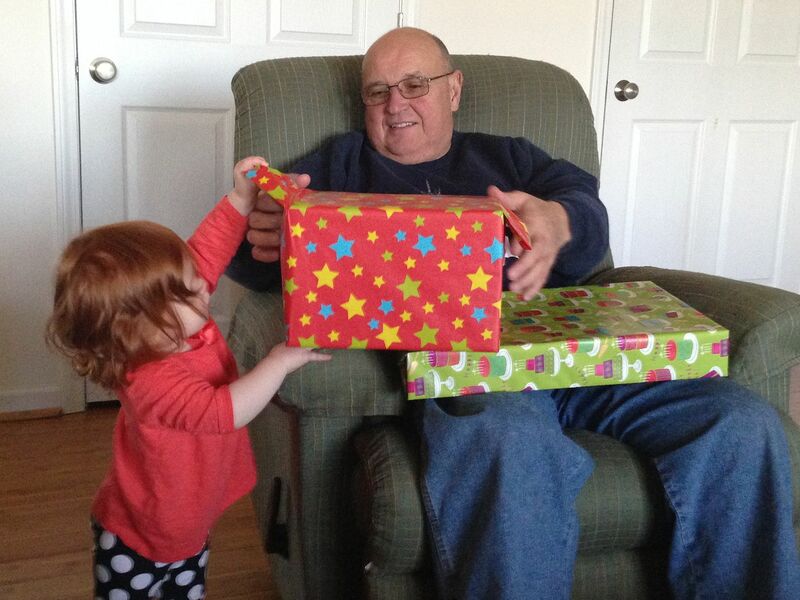 As my Dad was opening his birthday presents, Baby K took it upon herself to help him in opening them. I guess opening presents at least four different times over Christmas made her think that all wrapped presents are for her. 2.) 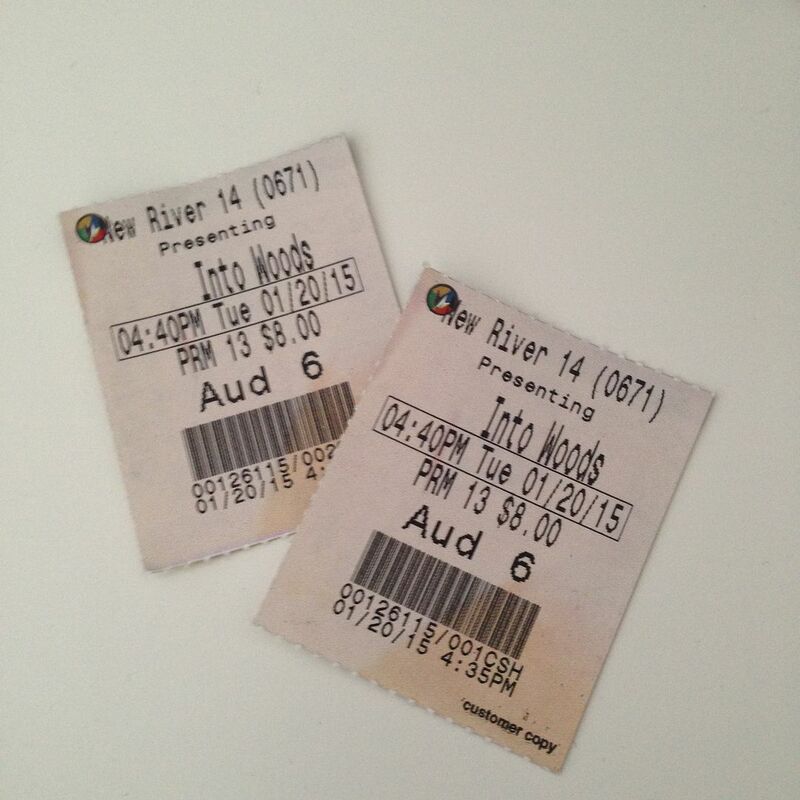 I FINALLY got to see Into The Woods. My mom and I went on a girl's night out with dinner and a movie and we even got a private showing of the movie! It was so neat to watch the movie with her since we saw the play together about 8 years ago. 3.) 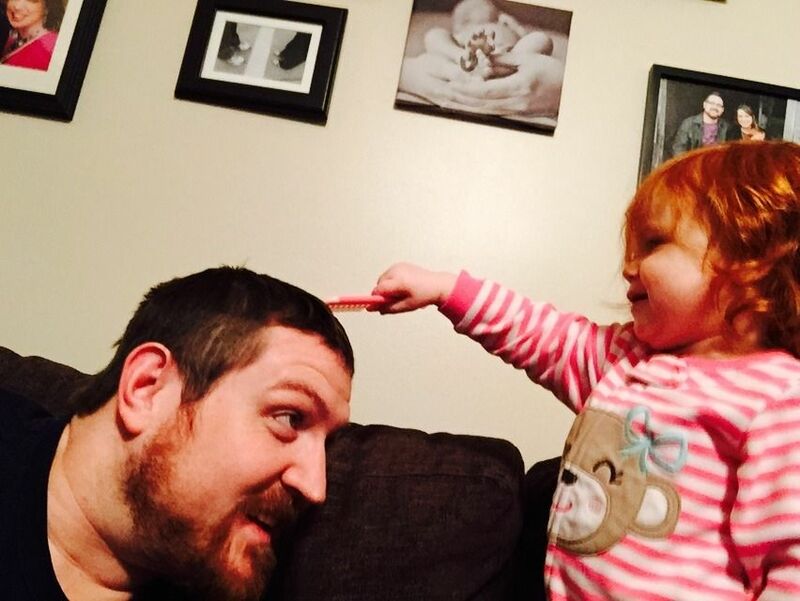 While my Mom and I were out, Baby K decided to play salon with her Daddy. 4.) I tried Jamberry Nails for the first time this week. This is a very different look for me (I normally pick reds or pinks) and I really like it. 5.) 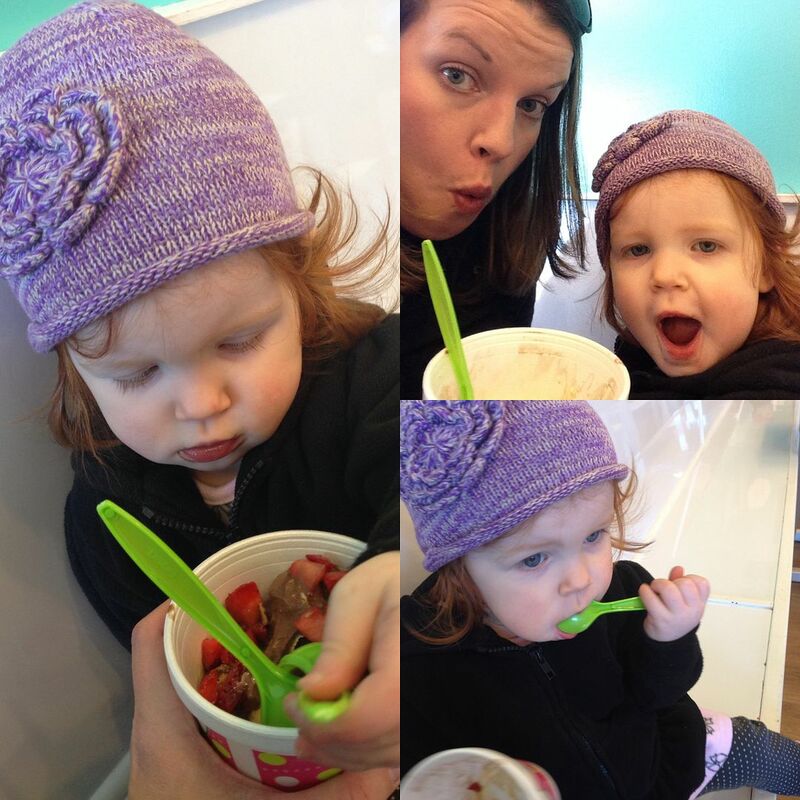 I took Baby K on a Mommy/Daughter date to Sweet Frog for some frozen yogurt. We split a cup of yogurt and I'm pretty sure that she ate as much as I did; she loved it! I'm linking up this post with Bright on a Budget, September Farm and Style Elixir. Baby K is too cute helping open those presents! Your nails look fabulous. I've heard a lot about Jamberry, but haven't tried them out yet. Sweet Frog, what a fun daughter mommy date :)! Happy Friday! Aren't Jamberry nail so much fun. I have some that I need to put on my nails. I used to play hair salon with my dad, too--seeing that picture brought me back to when I was a little girl! So so cute! Jamberry are fun, and you definitely get some new designs. I had trouble with mine after about a week, getting snagged on things. I haven't done them since, but maybe I should give it another try! Just discovered your blog through the High Five for Friday linkup. Your daughter is adorable! That is such a fun age! I heard good things about Jamberry. Your nails look great! 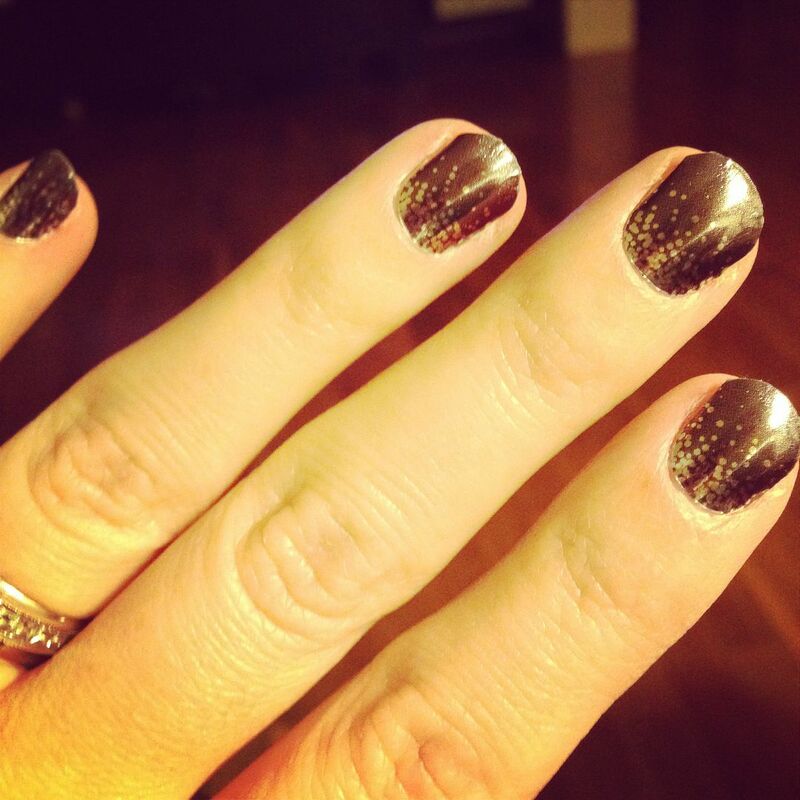 I love your Jamberry nails! Very cute! I just saw Into the Woods recently and loved it as well. Have a fabulous weekend! Baby K is so beautiful! Looks like she had a blast opening gifts. I've been meaning to try Jamberry nails. They look so pretty. Thanks for linking up to H54F!